This IKEA doll is complete. It was sent by a friend after she set the incomplete doll above. 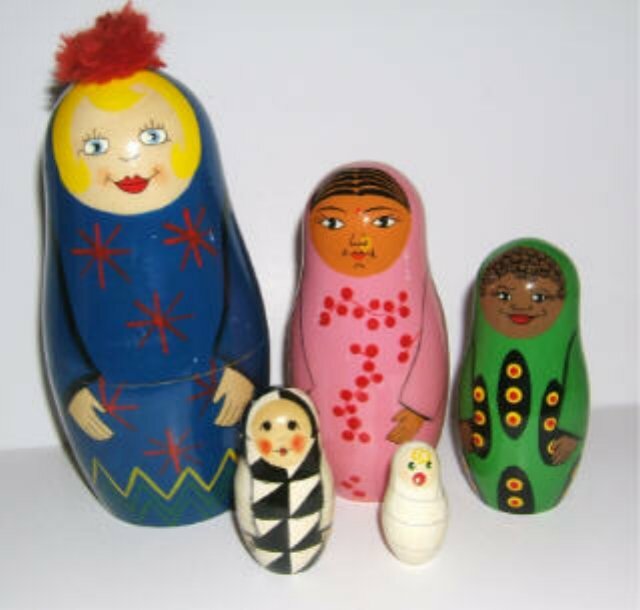 This doll contains the Lappland (pompom) doll, pink doll from India, green doll from Africa, European doll wearing black and white triangle costume and a baby.